Saving energy does not need a revolutionary approach. It can be done with an analysis of current situations. After a British Columbia school district counted the number of refrigerators in its 22 schools, they removed the fridges that were underused. “It is not an original idea but certainly it works,” said manager of facilities and transportation for School District 27 (SD27), Alex Telford. The idea for the project came from an Educational Facility Managers Association of BC conference, where school energy managers meet to share ideas and lessons from their districts. Telford and his team counted 133 fridges in SD27, which is located in the central interior. The annual cost of running the fridges was around $33,000 every year. They eliminated 18 and replaced another 10 with high-efficiency fridges, resulting in an estimated cost savings of $6,500 annually. 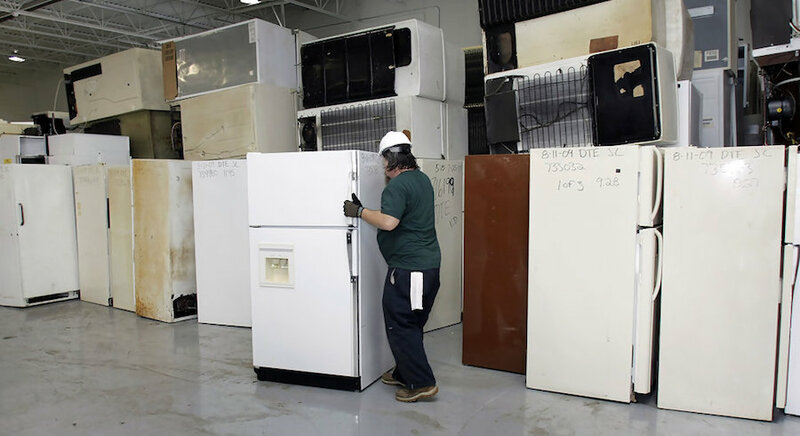 New fridges consume around 40 to 45 watts, while older fridges can consume as much as 350 watts. This energy difference can be the difference of up to $400 per year for each fridge. They analyzed the refrigerators’ energy consumption by comparing the manufacturers specifications and tracking energy consumption. Using wifi-connected energy monitors, Telford could track the power consumption of fridges throughout his district. Reducing the number of refrigerators was not without concerns from school employees. Telford said communicating the significant energy consumption eased the impact of removing fridges. Telford did a walkthrough of his district’s schools to see how they were being used. Some fridges were nearly empty – at times an entire fridge would hold just a few condiments. In fact, 18 fridges were found to be empty or filled with just a bit of food. His favourite story was about a fridge being used by a lunch program. Telford said energy efficiency is an ongoing project and reducing the number of refrigerators was a relatively easy project with significant results. In a related project, Telford and his team analyzed the energy consumption of vending machines in the district’s three high schools. Cold beverage vending machines can use up to 800 watts of electricity. “There’s some huge savings from reducing our vending machines,” he said. Telford explained to the principals the energy costs of the vending machines and the principals then “changed the way they were doing business.” The high schools each had around five vending machines, but now the refrigerated drink machines have been removed. SD27 high schools now sell juice and snacks at the schools’ canteens instead of through vending machines. The schools buy stock for cheaper and they can control the time of sale to only break times. Published on Rede Energy Solutions on October 5, 2016.